Language Arts / 6th Grade / Miss Ortenzi / Bookmarks with reading strategies ! 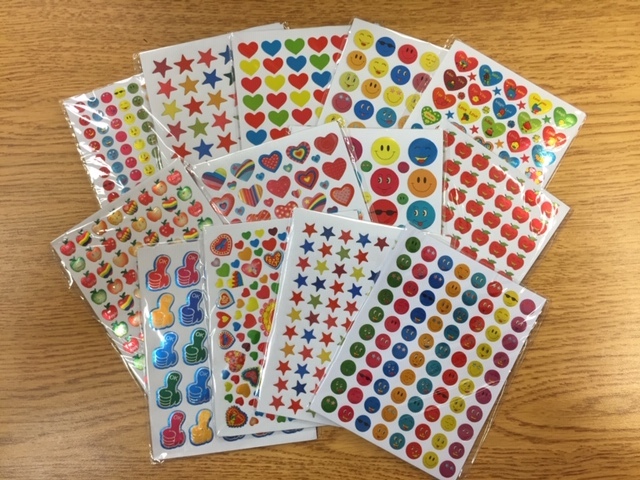 My 6ELA students would benefit with the reward sticker when they have demonstrated that they have mastered a concept taught. Believe it or not, even 6th graders like to get stickers on their papers and they are not too "old" or "cool"! Newer PostLanguage Arts / 6th Grade / Miss Ortenzi / Auditory phones. Older PostESL / All grades / Mrs Lisa Miller / Admissions to Franklin Institute Science Museum.